Had a nice weekend in the Manchester area last weekend and visited Ian Masan and Greg Dakin. The idea was to go to Wales and attend the Wales winter league event with Greg. Well the weather did not cooperate so we did something else on Sunday. 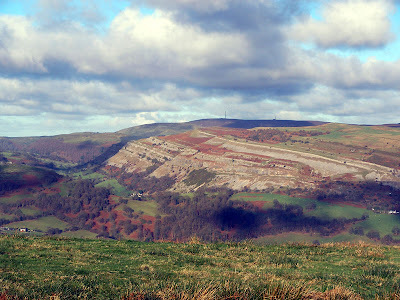 Monday Ian took me to a trip to North Wales and the Llangollen slope which turned out to be a very, very good slope. Even it was a rather cold day with sunshine the thermal influence was clearly there. But the slope was pretty good just windriven also. 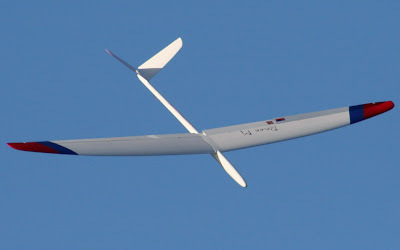 I flew my Ultimate and Ian got to test his brand new RaceM F3F and I could tell he was pretty exited. 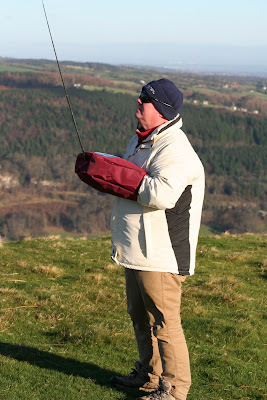 Many thanks to Ian and Cubbitt's models to get me a very, very needed mitt for my new Futaba 12Z radio. In fact I think I will start to fly in the winter now. I have had big problems in cold conditions before but these days seem to be over now thanks to this excellent product. Thanks to Ian and Greg for a nice weekend.